Often, it is the public library that serves as the beating heart of the local community. 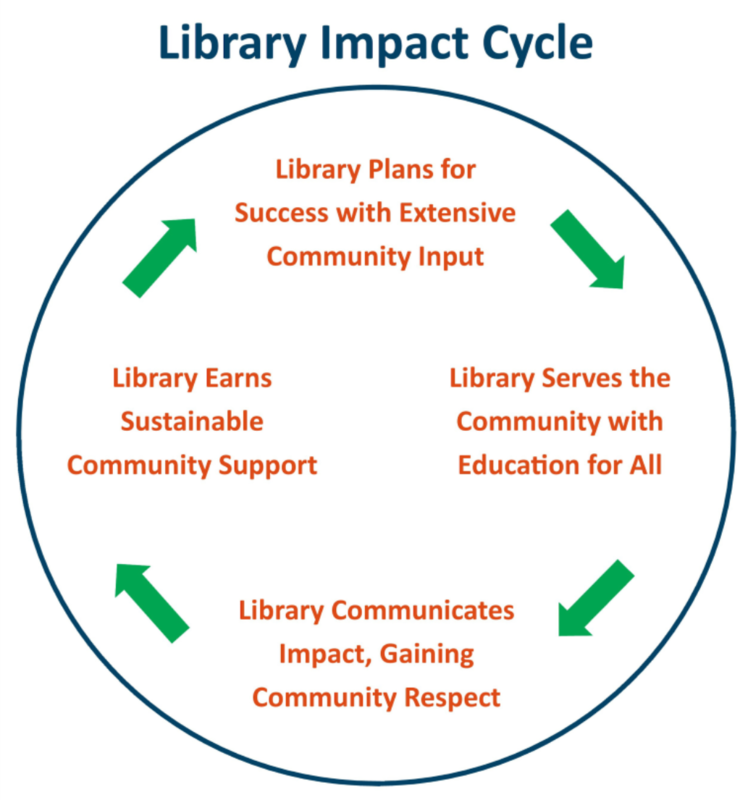 Building and maintaining support for libraries is an essential element in thriving communities, and MVLS is embarking on a plan to help the libraries within the system enhance their ability to meet the needs of the people and organizations within their service area, as well as improve their connections to the community. 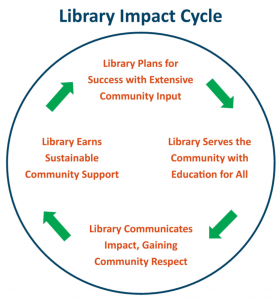 The goal of the 21st Century Libraries Initiative is to help all participating MVLS member libraries reach their potential as community resources that are valued, used, and sustainably supported. This is a longer term initiative that we are offering to ensure our public libraries remain strong centers within our communities for future generations. It is a cyclical process that includes Community Engagement, Strategic Planning, Service Improvements, Communication Planning, and Advocacy Planning. Any questions? Please contact Wade Abbott, Community Engagement & Communications Specialist at MVLS: 518-355-2010, ext. 230.